Select one from our available Vintage 4x4™ inventory and take instant delivery. 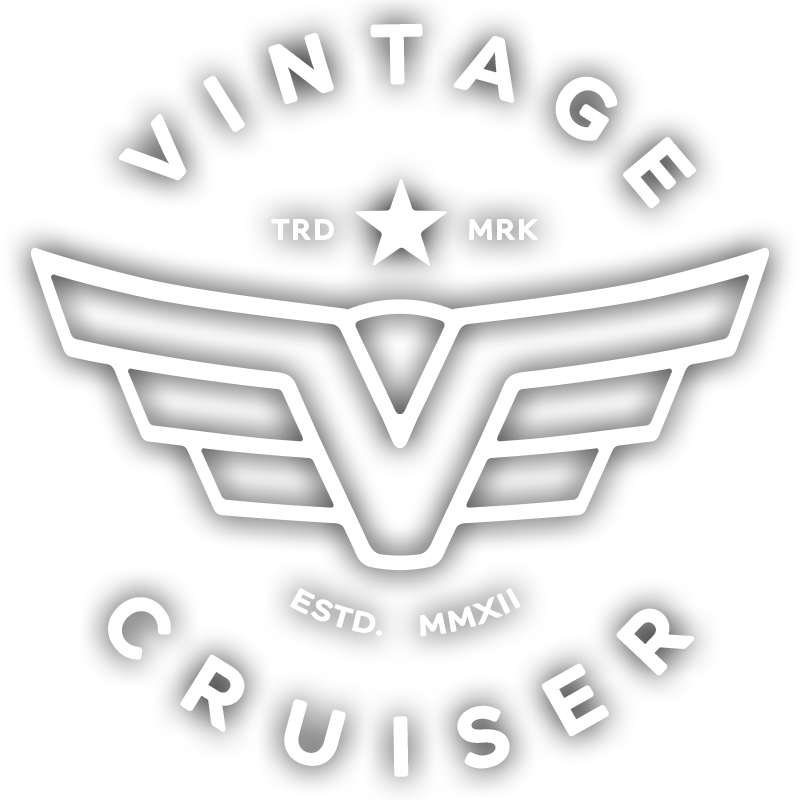 While most of our Vintage Cruisers™ are purpose-built to order with build slots usually booked months in advance, we occasionally have a well-appointed exhibition demo that is available for immediate purchase. However, these are very rare, and you must act fast, as they usually sell very quickly! If you can’t find one from our available Vintage 4x4™ inventory, you can select one from our pre-restoration inventory. This is our most flexible purchase option because you can select a Land Cruiser that is either awaiting restoration or already in-process and near completion. No matter which one you choose, we will customize and transform it into the Vintage Cruiser™ of your dreams. Are you already a Land Cruiser enthusiast? Do you own your own Toyota Land Cruiser? Is it in need of restoration? If the answer to all of these questions is "yes" then let our team of dedicated experts transform your Toyota Land Cruiser into the Vintage Cruiser™ of your dreams. C'mon, what are you waiting for, send us your Toyota Land Cruiser and fall in love all over again! If you have your heart set on a rare model that is not part of our Vintage 4x4™ inventory, let us find it for you. Our extensive network of contacts and scouts covers the whole of the Americas, Saudi Arabia, and even as far as Australia and Japan. 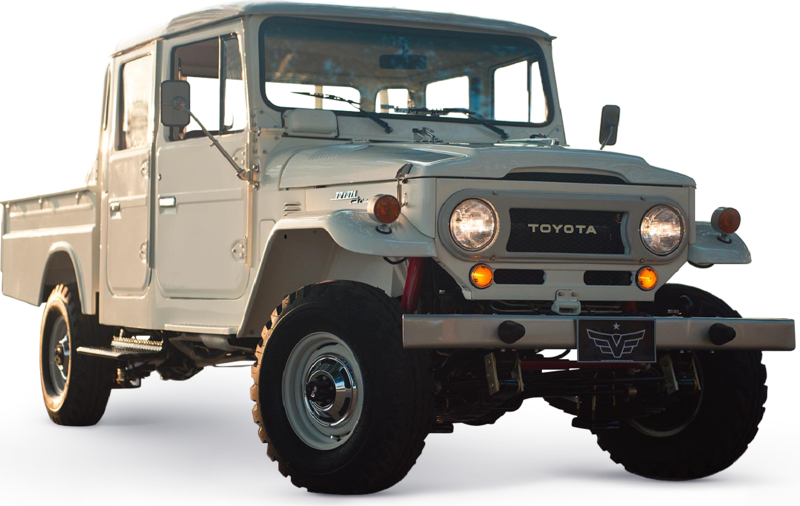 So, whether you are a purist at heart, or whether you prefer a fully customized rig, let us find you the perfect Land Cruiser and we will transform it into the Vintage Cruiser™ of your dreams. Delivering the best Toyota Land Cruiser restorations in the world is not cheap but it does not have to break the bank. The absurdity of our closest competitor charging nearly a quarter-million dollars for a concourse quality Land Cruiser restoration is just ridiculous. Although our profit margins are important, our primary passion is to spread the "FJ Joy" one Vintage 4x4™ restoration at a time, and this is why we have adopted a "fair pricing policy and guarantee" for each and every Vintage Cruiser™ that we build. What this simply means is that nut for nut, and bolt for bolt, we promise to deliver the highest quality concourse restorations at the most competitive pricing. Guaranteed! This is why our concourse quality restoration pricing starts at only US$65,000 to well over US$120,000 depending on installed options, and includes free shipping in the Continental U.S.
Delivering the finest Toyota Land Cruiser restorations in the world takes attention to detail, but above all, it takes time - more than 1500 manhours to be exact. This is why our production schedule is limited to no more than 16 handmade Vintage Cruisers™ annually. It is this commitment to "quality over quantity" that allows our dedicated team of Land Cruiser experts to spend more time with each and every Vintage 4x4™ restoration that we perform, while still being able to complete the build stage faster than any other restoration company. On average, our production timeframe for the completion of a full, nut and bolt, frame-off restoration ranges between 6-9 months from start to finish. This is more than 3 months faster than our closest competitor for a concourse level restoration.